Crush Curatorial is pleased to announce Night Feeding, Sarah Slappey’s solo debut in New York. 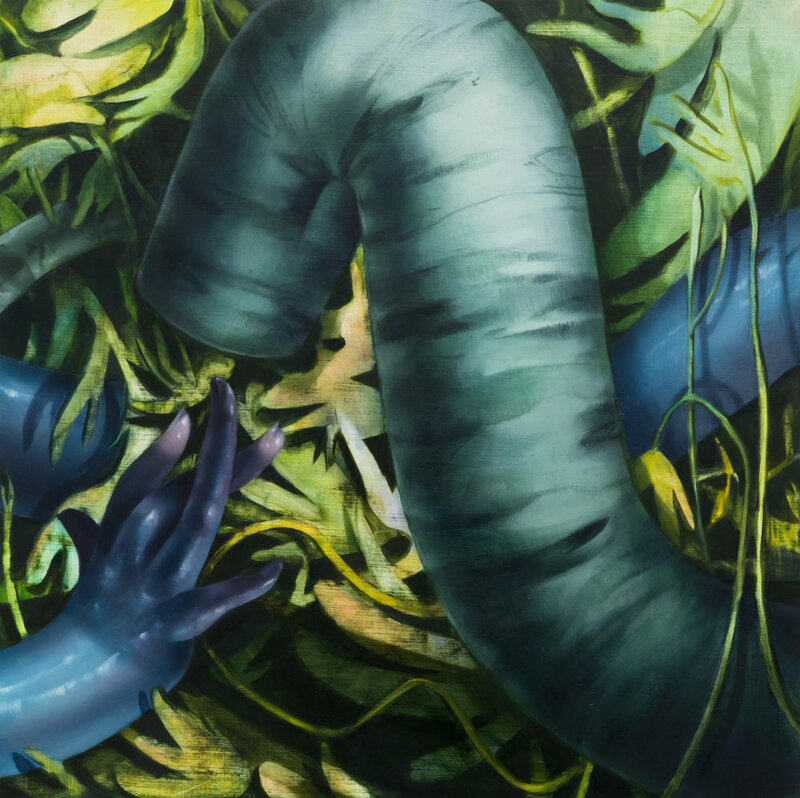 The exhibition premieres a series of new paintings that “investigate paradoxes within both the natural and human world.” Intersecting human and environmental boughs, Slappey’s enigmatic works connect vulnerabilities and affinities of the present through lush fantasy and self-horror. Limbs glisten with slime, spotlights reveal tender secrets beneath the darkness of twilight, and nutrients are exchanged between the damp forest and a swelling anthropoid. 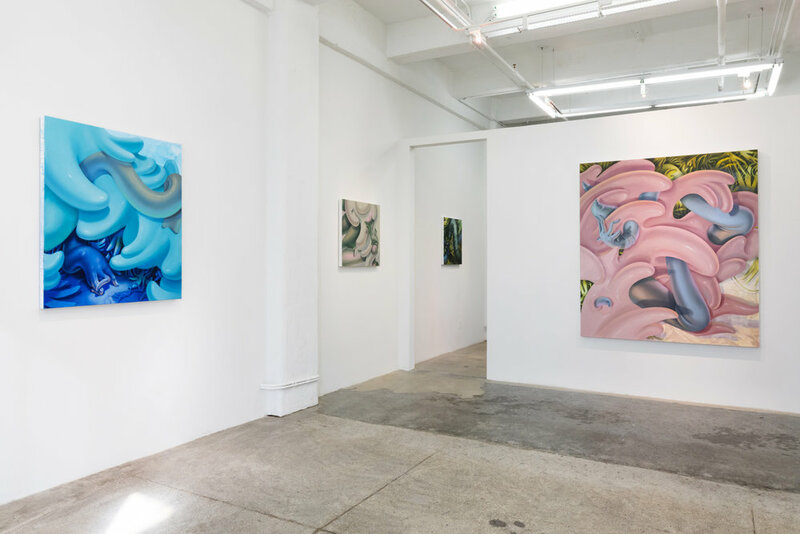 The viewer outside of Slappey’s paintings may or may not be the creature creeping into her dream-like expanses of glossy anonymity grazing the canvas. “I wanted to build a world from the bottom up,” the artist writes, rendering the figure of the hand as a conductor to engage the intimacy of seeing through touch. 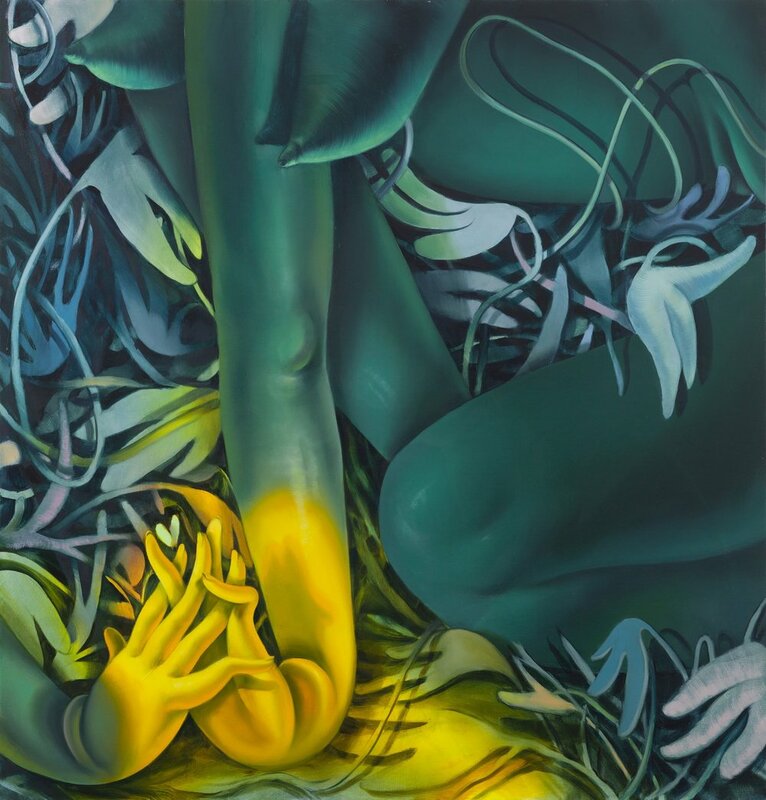 Slappey’s ethereal compositions assert the need for a surreal and soothing realm combining imagination with lived experience, unapologetically centering upon a lactating, masturbating feminine form. Blurring distinctions between the human body and the body of the natural world, a needling discomfort sublimates the affection evoked within her dense ectoplasm. Wet clouds, verdant nocturnal forests and slimy selfhood are spaces of projection. Dark humor collaborates with delicacy, creeping sensuality couples with swampy repulsion, shadows of privacy bleed into the eerie tenderness of dawn. 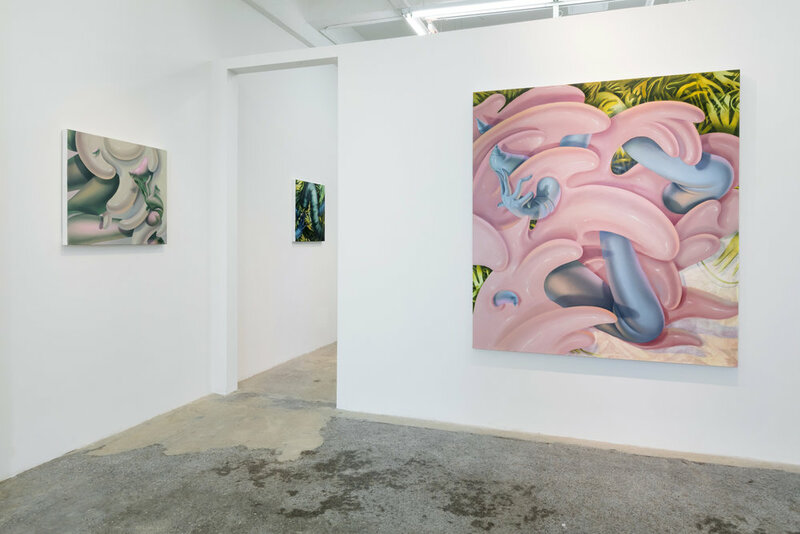 Slappey’s paintings assert the need for a form of figure painting that moves from the inside out, wherein distortion is power and the abject flows of female body fluids are agents of exuberant representation. Sarah Slappey lives and works in Brooklyn, NY. She received her MFA from Hunter College in 2016 and BA from Wake Forest University in 2006. 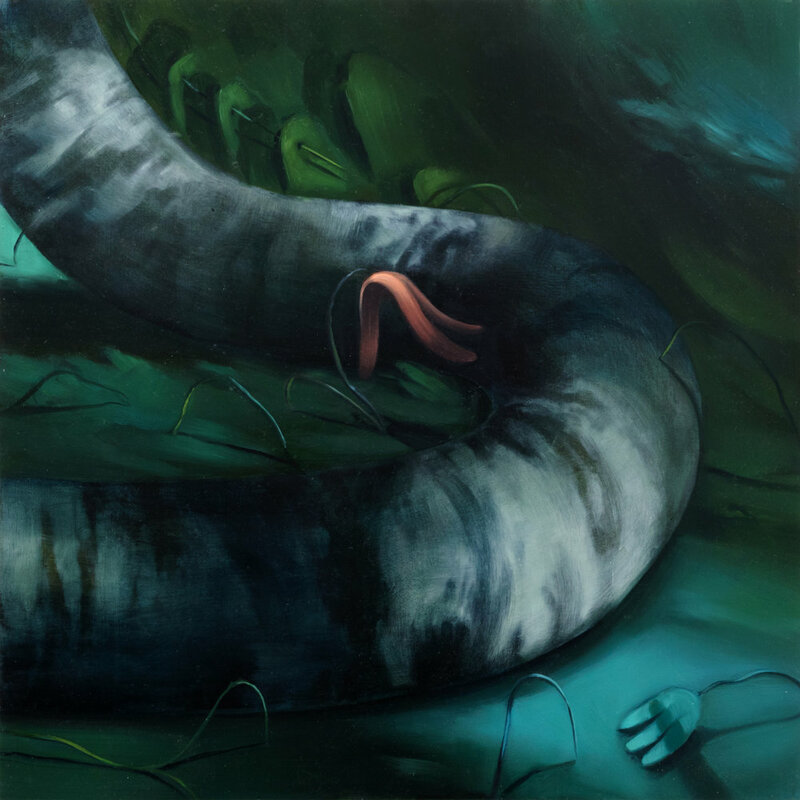 Her paintings have been exhibited in solo and group exhibitions in New York, Italy, London, and Denmark. In 2015, Slappey was awarded a Kossak Painting Grant and a Hunter MFA award for Outstanding Achievement. 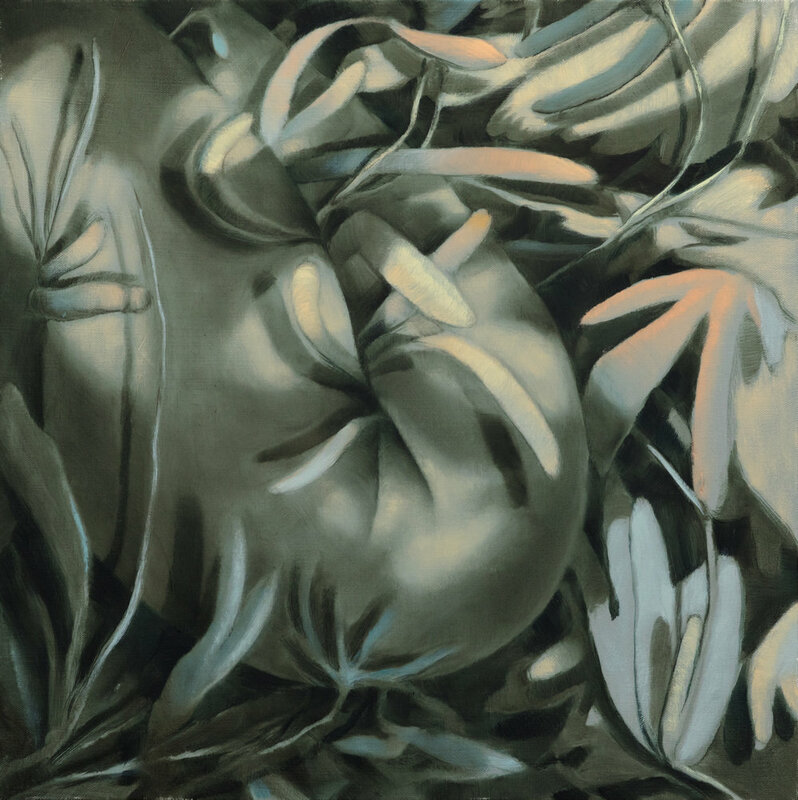 Her paintings examine the paradoxes of aesthetic pleasure and discomfort through the human form. Her work has appeared in such publications as ArtMaze Magazine, Social Life, Long Island Pulse, and Hamptons Art Hub. This is Slappey's New York solo debut.